A giggle from the girls, it’s their first photo session with a foreigner! 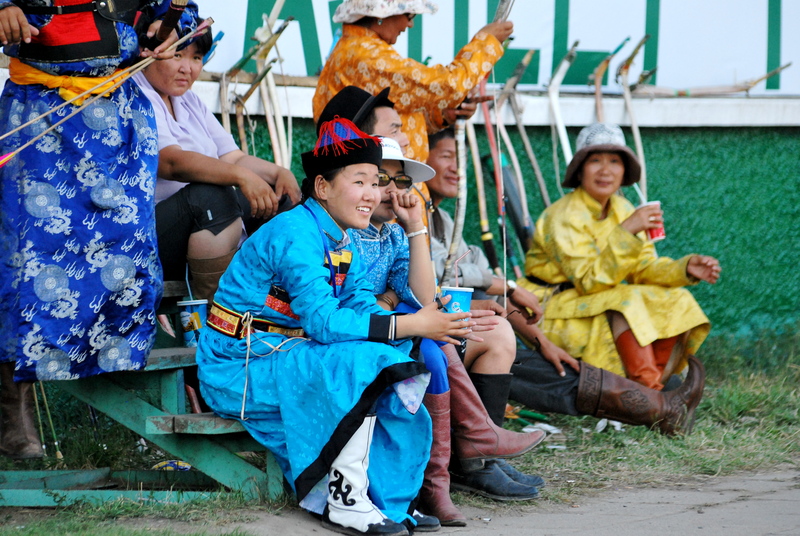 At the Surharban horse races, I trolled the infield speaking with racers and event staff to learn more about this fascinating steppe festival. I couldn’t help noticing a gaggle of pink girls hanging out in a van near the event HQ. They were so striking, I didn’t resist asking them for a photo shoot. Their bright smiles radiated their pleasure at being asked. They readily agreed, even performing one of their dances for me! 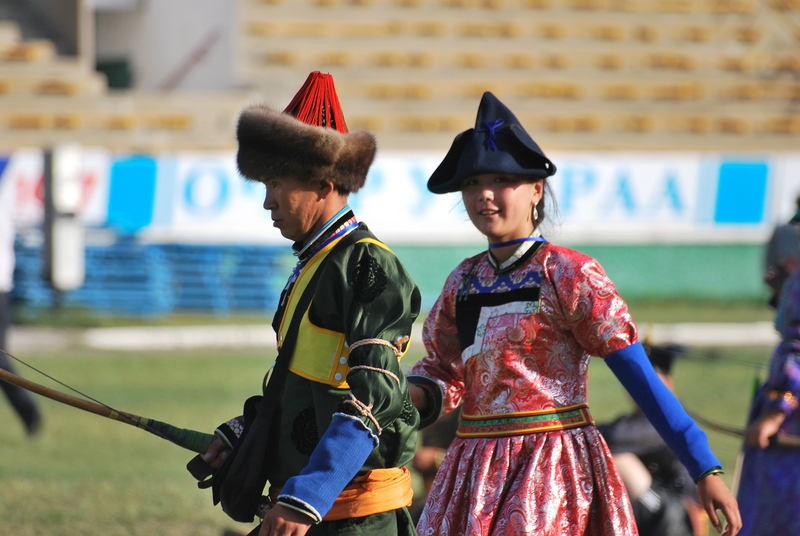 Their traditional pink deels made the steppe gasp in awe as they moved rhythmically across her. Dancing flowers under the sun. 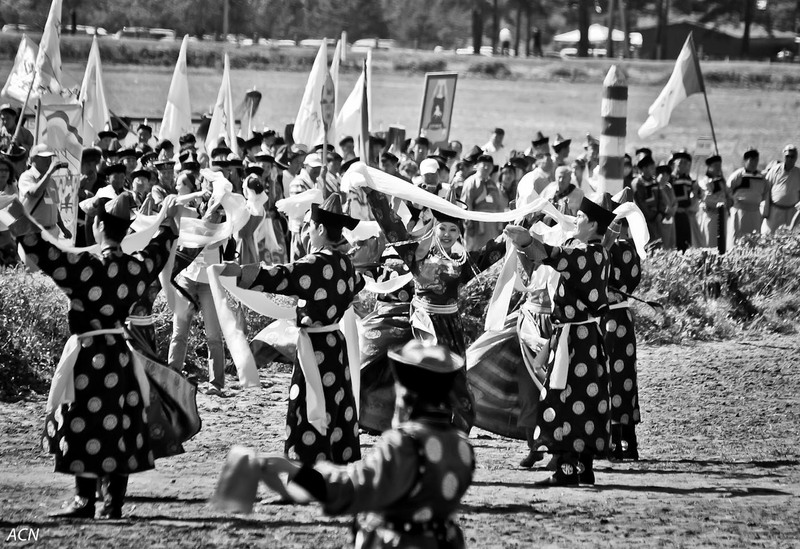 Ailana, Surzhana, Alexandra and Uyan-Selmeg are flowers of the village “Upper Ivolga” and dancers in a group called “Hatar”. 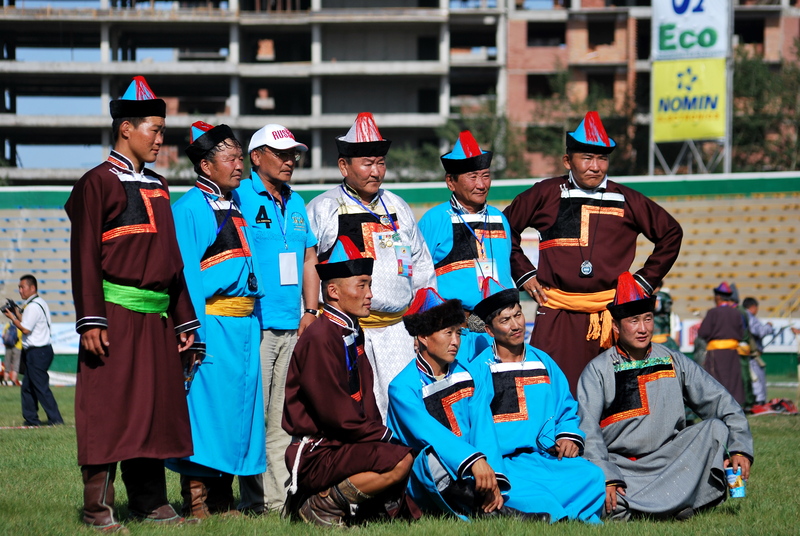 There are two traditional dance groups known as Hatar, a younger one and an older one. The girls are excited to join the older group who gets to travel to France to perform. Then they will be dancing flowers in Paris! I love this shot, where you can see their tenny-runners under their outfits. 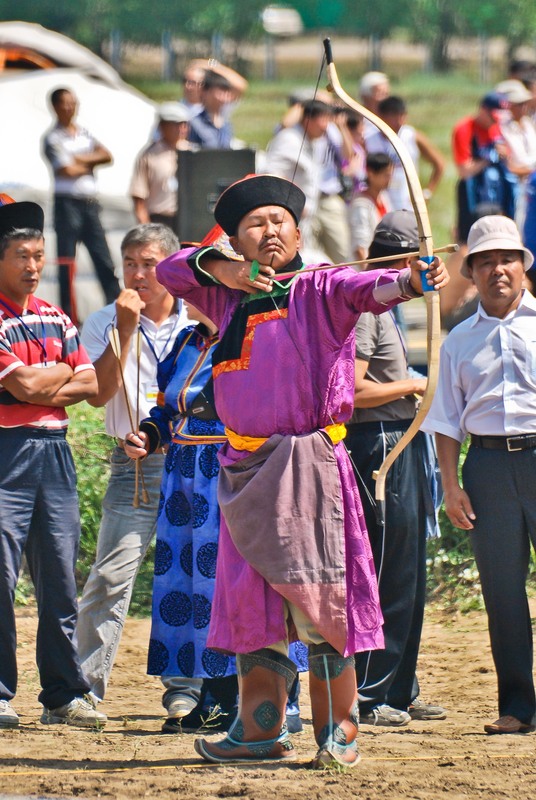 The Fuchsia Bow Master at Surharban! The Fuchsia Bow Master! Targets shake in fear at his appearance. 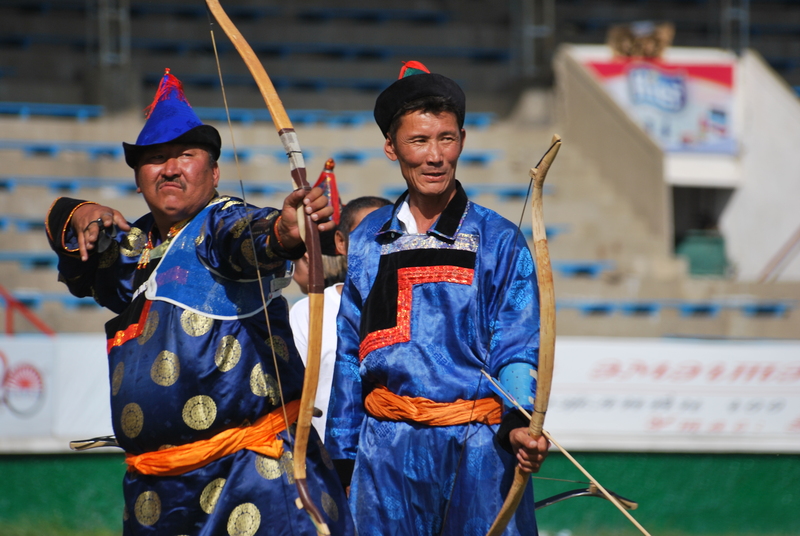 Surharban is here again, that Siberian nomadic summer classic where Buryats gather to wrestle, race horses, and demonstrate their archery prowess. 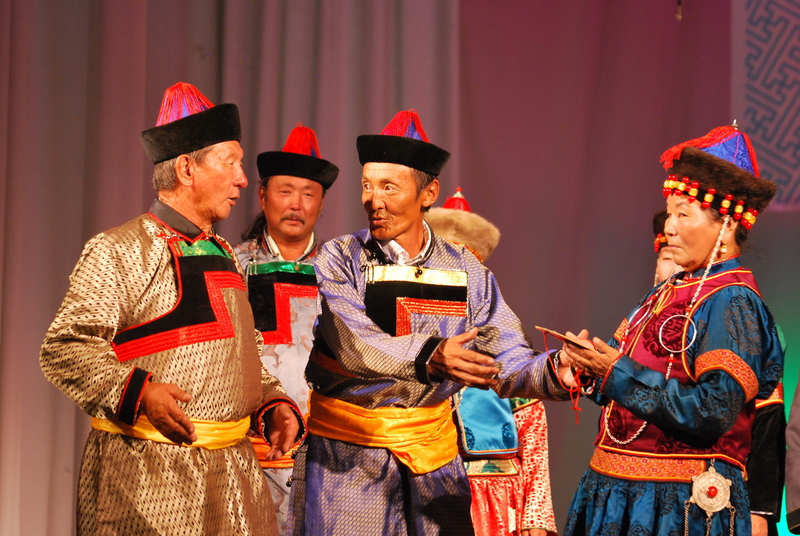 Buryats dancing, Buryats singing, Buryats carrying on, slurping the juices from inside hot pozi, downing cup after cup of milk tea as they laugh with their friends. 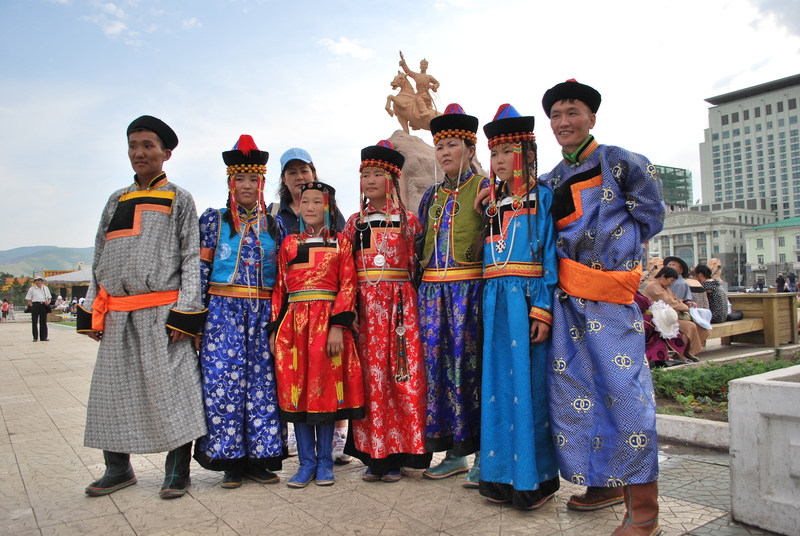 It is a good day to be Buryat, to remember the nomadic days on Siberian steppe, and to see your family relations from all the outlying villages. 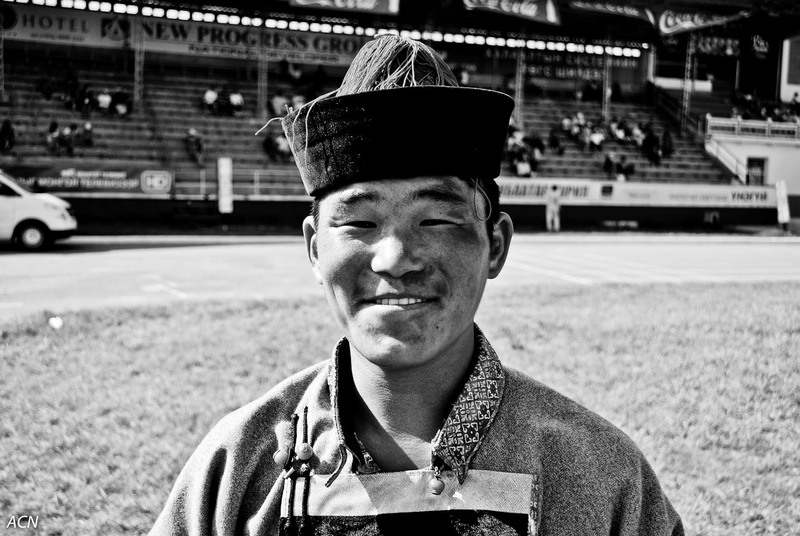 Archers loose, wrestlers grunt, and off dash the mounted horses under a smiling Asian sun. 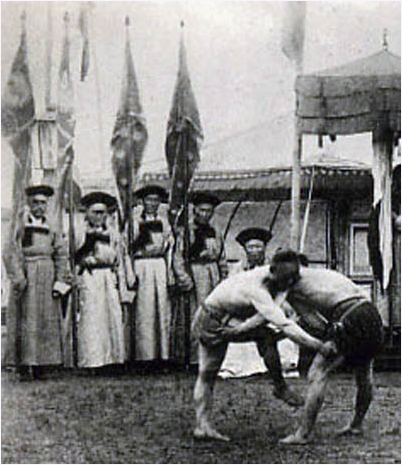 Buryat wrestlers show us how it’s done at Surharban, around the turn of the century. 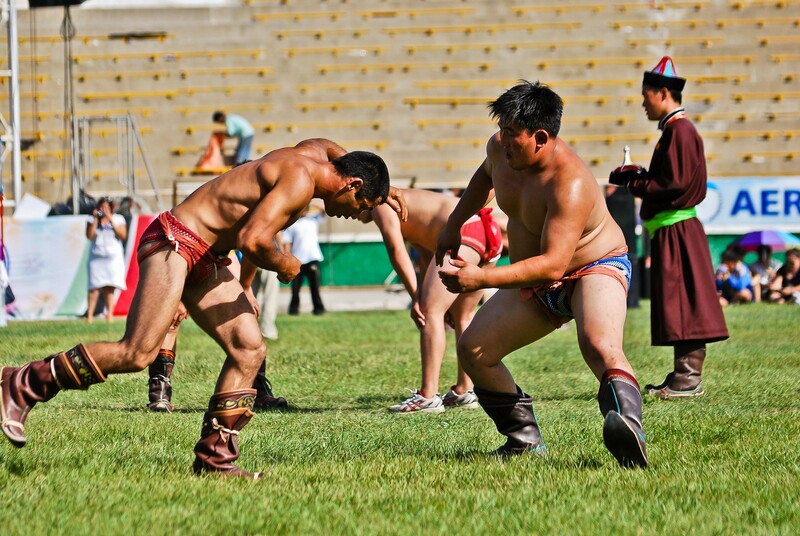 Buryat Wrestlers continue the tradition in 2010. We are not up in the mix of all that hullabaloo this year, we miss it indeed. But you can admire some photos from Surharbans of yore, and you can check out a recent Surharban experience here. 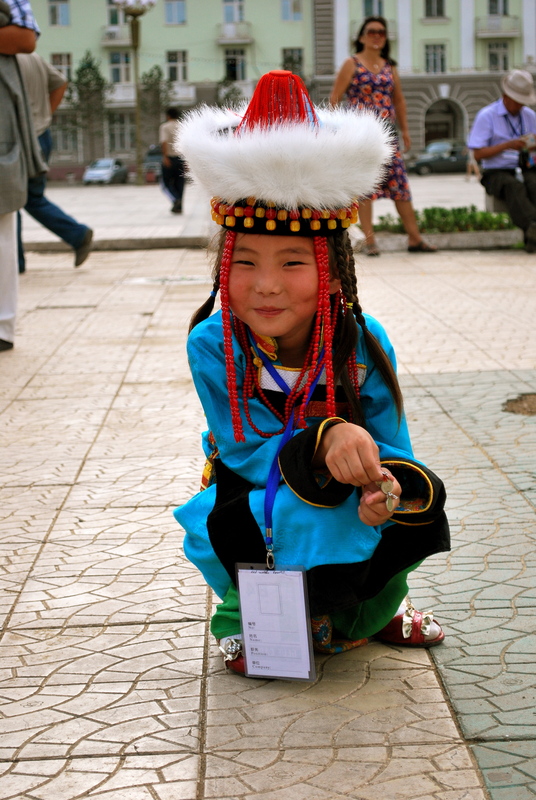 Please pray for our Buryats! 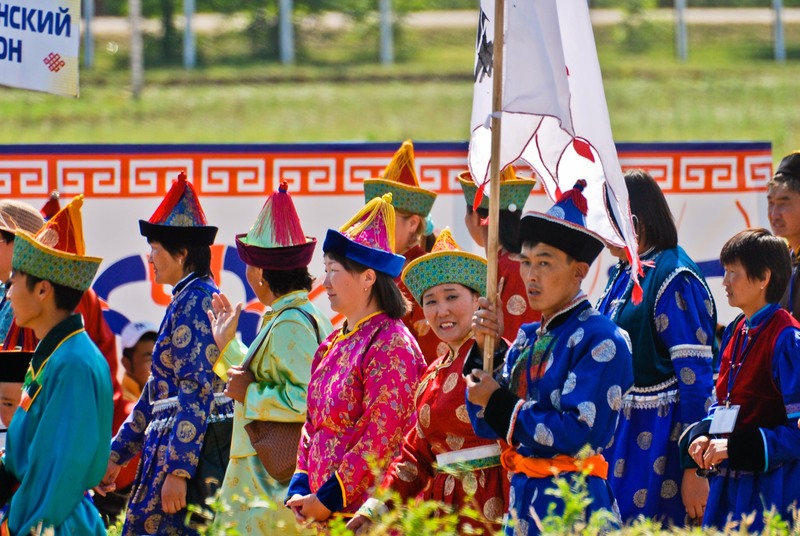 Buryats on parade at the opening of Surharban. What finery! 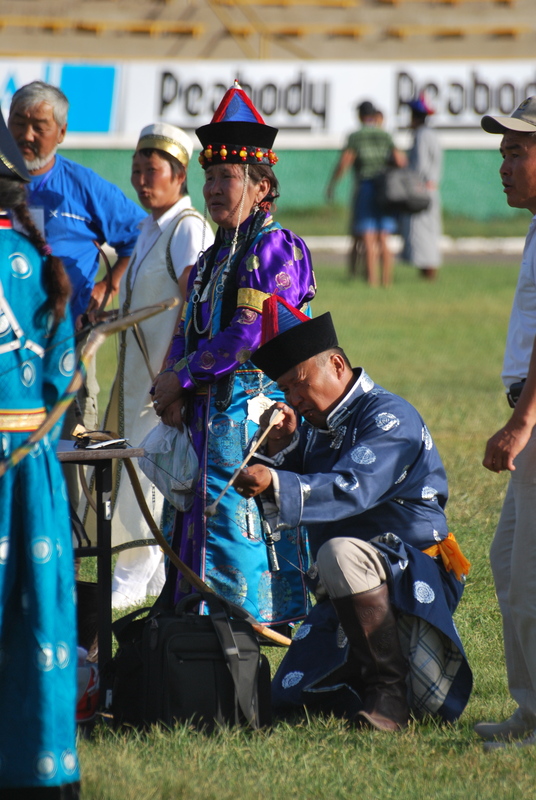 A festive Buryat hubbub at Surharban 2010. 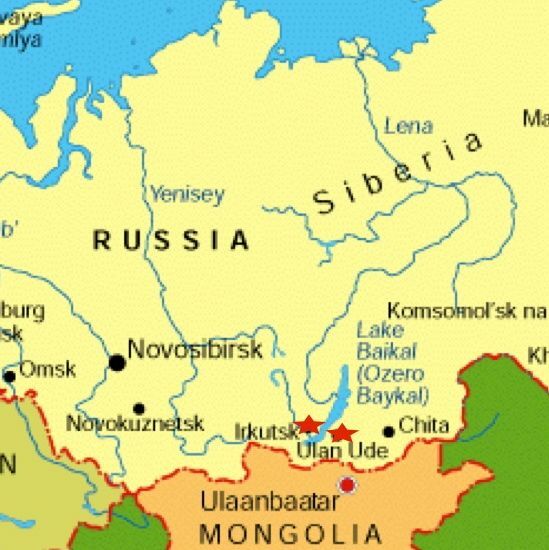 The son of Yampil, the clan’s headman, home town hero, graduate of the Emperor’s Military Academy of Saint Petersburg, Colonel in the Czar’s Army, first military doctor of Buryatia, participant in the war of 19052, Bazar-Sada Yampilov was coming to visit his home stomping grounds3. And he wasn’t coming alone! 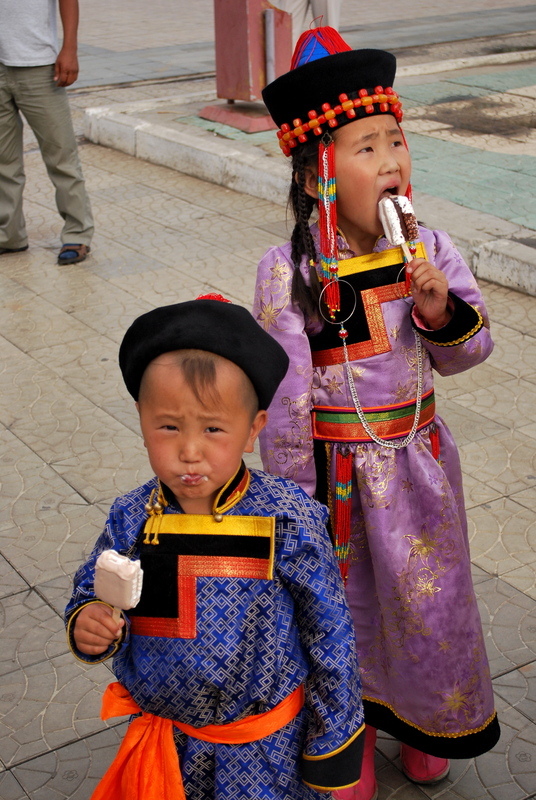 His wife, who some said was Russian, others German, but at any rate not Buryat, was coming with him! 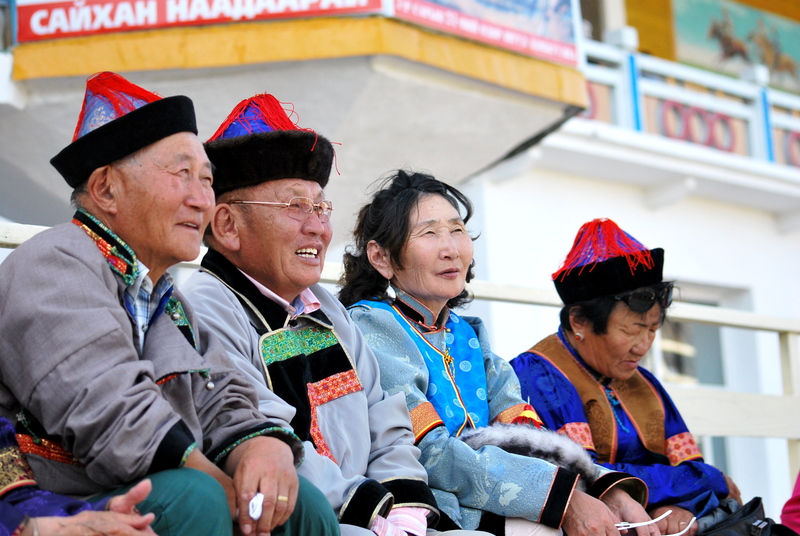 The elders and respected citizens of Uldurga gathered to council together. “How shall we welcome our countryman, our dear guest?” Asked one esteemed elder. “With tea4 and refreshments as we usually do.” the people answered. “Of course, of course, but what type of tea?” wondered the elder. 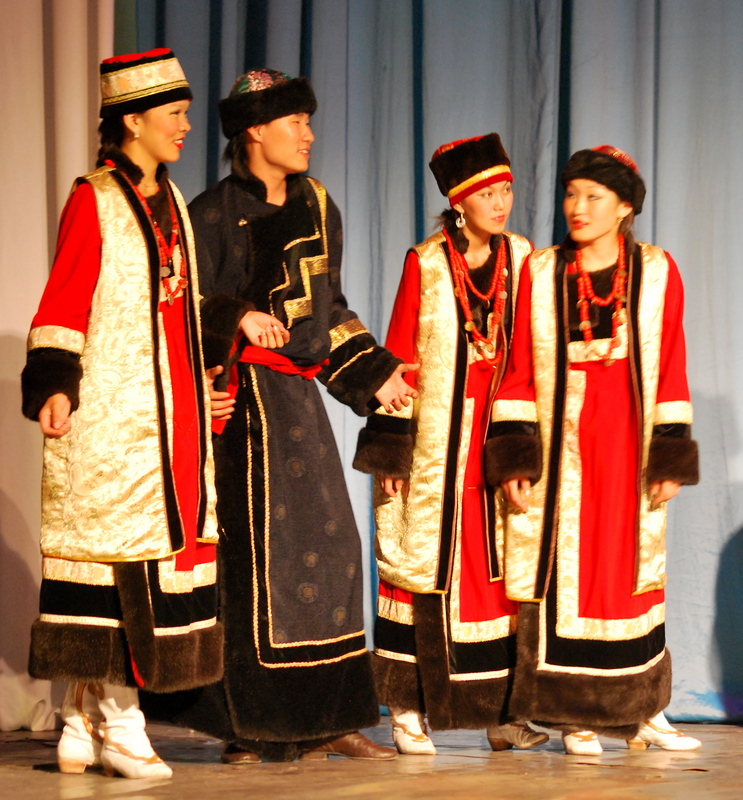 “Our dear Bazar-Sada has lived for a long time among Russians, he must have forgotten our Buryat dishes and drinks. And furthermore, his wife is Russian . . .
“That’s true! Why didn’t we think of that?” agreed the people of Uldurga, duly impressed by the shrewd mindedness of their own elder. “Most certainly.” Nodded the village people. 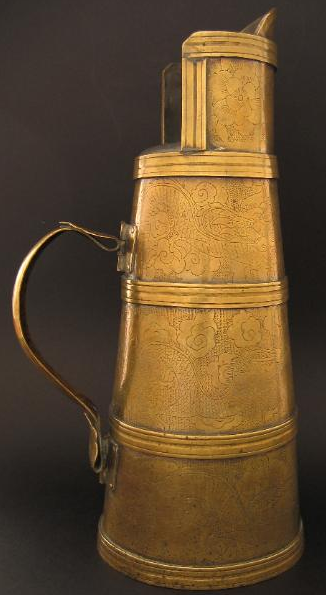 This pitcher is a brass dombo from Mongolia. This style of pitcher was also used in Buryatia. “Where can we obtain a samovar?” exclaimed the elder all a worry. Everyone looked at one another. The old man collected in his minds-eye every last utensil the people of Uldurga owned, it’s true, in those days everyone knew exactly what everyone else owned. In the homes were cast iron and copper pots, silver pitchers, drinking bowls, gold plated and zinc coated serving dishes, but a samovar? There is not one trace! Nobody owns a samovar. “Send riders to the neighboring regions.” after some pause for thought declared the wise elder. The young riders tore away in every direction, hell bent for leather. The next day one rider returned, hugging before him on his saddle like his very own new bride, a big bellied, three-bucket capacity, Tula6 made samovar. The young man broke into such a grin that it was hard to tell if it was his face sparkling so bright, or the treasured serving vessel polished to a high shine. Not as wide a grin, but a good one all the same! “You’ve done it!” Exclaimed the rejoicing village-folk giving the rider a hero’s welcome. Soon there after the guest unexpectedly arrived in a horse drawn carriage. There he was, Bazar-Sada Yampilov in a colonel’s full dress uniform, with golden epaulettes, a chest full of medals and a long saber strapped to his left side. With him was his wife, a large of nose and haughty German in a full length European dress with a silk parasol in hand. Immediately all the eyes of Uldurga focused on their elder. The elder simply grunted, squinting at the big-bellied samovar. 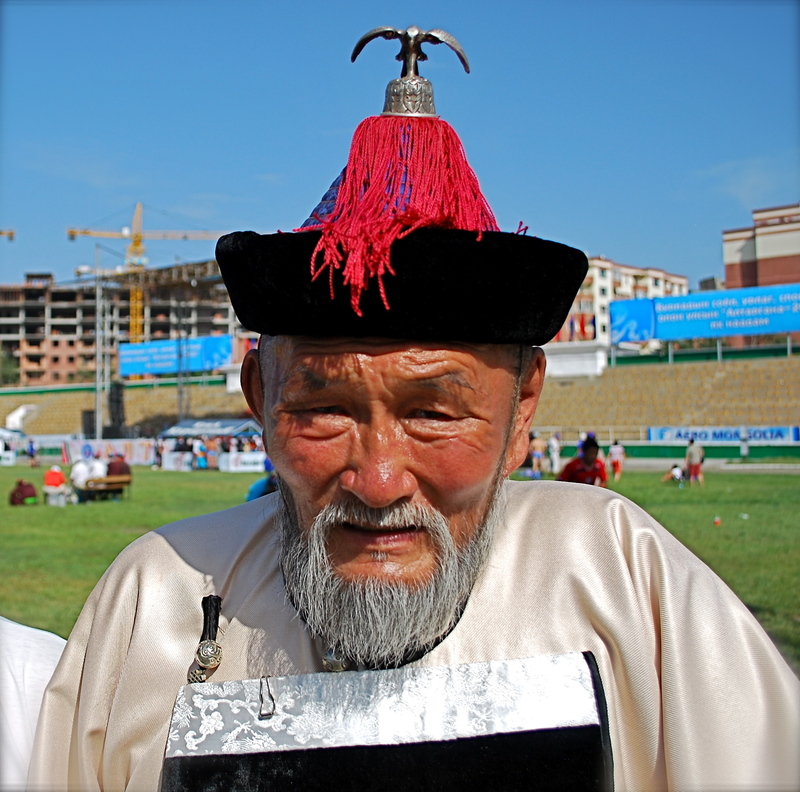 * As told by Tsevegzhavin Erdenechimeg a fellow tribesman of Yampilov. From the book, “Steppe Stories and Tall Tales” pgs. 247-248. Story takes place after 1905 and before 1917, I believe. 2. 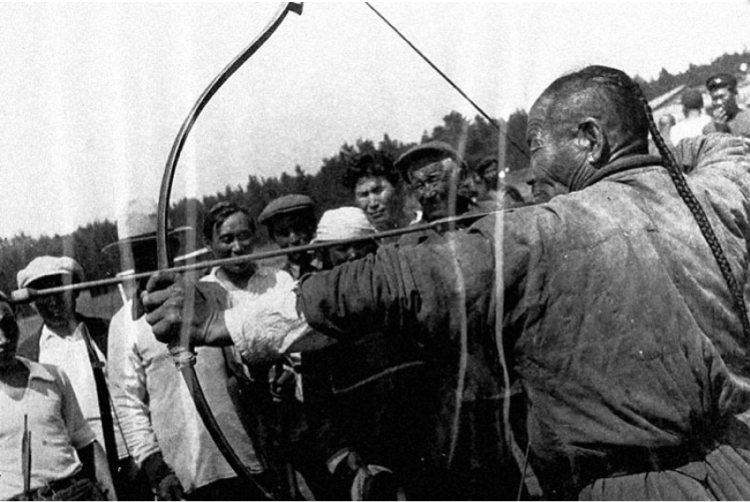 The war of 1905 was the Russo-Japanese war. 4. Tea in this case does not mean simply the beverage, but rather a feast. 5. 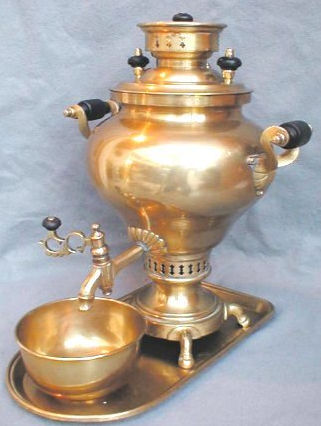 Samovar is a large ornate pot especially devised to boil water for tea. The word literally means “Self-boil”. 6. Tula is a city located to the far west in Russia, famous for its samovars.